The definitive guide to what you need to do when buying a gas detector. We’re not talking use case and technical work here, just a straight up guide to some steps and questions everyone should go through when buying new gas detectors. The other day we had a MSA Altair 4x, come to us and when powered on ALL of the sensor came up with errors. So I decided to open it up and see what was going on. This is what I found. So I decided to call MSA, I spoke with AJ. He informed me that this is a known Issue for December 2013 models. I have never seen a Sensor leak so much electrolytic fluid. Since the leak was so bad it corroded the main board. I'm pretty sure this unit has a multi-layer PCB, so repair is out of the question. However, MSA is aware of this issue and will warranty this whole unit. If you're uncomfortable with taking apart your monitor, send it in and we'll take care of it for you. If you have the BW Technologies Gas Alert Max XT II, giving you an error message on the Oxygen Sensor, this is what you do. Start with removing the pump filter cover. Once removed you have access to the screw under the pump port. Remove the paper filter then go ahead and remove all the other screws. Notice that the pump cover has a plastic hook to help to seal the unit. Be careful in removing and installing the pump cover. Once the cover has been removed, notice there is tubing connected to the cover. Remove the elbow with the barbed fitting from the back cover. There are 2 screws holding the main board in place, go ahead and remove them. Before removing the sensor, what you'll probably see is that the sensor gasket will be stuck on the sensors. Remove it, and install it back on the front cover. The oxygen sensor can be removed by wiggling and pulling straight out or by using a punch and pushing from the back. Step 6 - Put it back together. The Biosystems ToxiPro units are the most robust units I have worked with. They can come with the following sensors, O2, CO, H2S, SO2, CO-H, Cl2, NH3, NO2, PH3, HCN. Also the vibrating alarm is optional, and can be turned off with the dock system if the unit came with with this feature. This unit we are working with today is the CO version, it is part of our rental fleet and nothing is actually wrong with it. We just wanted to get this information out there. If you or anybody has questions or issues, we will help you out the best we can. There are only two screws that need to be removed to open this unit. Once you have removed the cover, the sensor is right there, go ahead and remove it. You should record the serial number and date code of the sensor. Keeping records is never a bad thing. This is pretty straight forward, Install the new one. These units are small, lightweight durable and versatile. They are IP66/67 rated, one button operation, bright yellow and red LEDs. If you have the dock system you have access to all the data, alarm points, serial number and other useful features. Replacement Oxygen (O2) sensor for the Biosystems ToxiPro. Sensor is a compatible version and is produced by Alphasense, the same company that produces OEM sensors. Sensor is compatible with Biosystems PN: 54-47-90. 1.0 lpm fixed flow regulator with C10 fitting for the Biosystems ToxiPro detector. So, let's say you have a job coming up, or you or one of your employees are getting ready to start their day. Assuming that your PPE includes the use of 4-gas monitor, in this case let's say it's a BW Technologies Gas Alert Micro Clip. Its nice monitor, my personal favorite thing about most of the BW Technologies Monitors is the sounds the make when the start-up. They remind of old "8-bit Gaming". What do you do when your BW Gas Alert Micro Clip has this error? Let's Get started, Open up your new Oxygen Sensor. Go ahead and remove the jumper that comes with it. This jumper helps to stop the sensor from degrading while in the OEM package. Now this part may seem simple, for the most part it is. However, just be very careful removing the back cover. Notice the gold pins and the gold sockets for the pins. If you go to fast and don't pay attention you break these pins and it will probably ruin your day. However, I have received a few of these unit to fix and upon opening the units the pins were either missing or floating around in the case, or stuck in the sockets. Once, you have successfully removed the back cover, you'll that there are two screws holding the main board in place. The first thing I noticed about this BW Gas Alert Micro Clip, was that one of the screws were severely stripped. So, I pitched it, and grabbed another one from our parts bin. I'm not quite sure what happened here, I'm thinking someone used a very cheap screwdriver, or perhaps a pocket knife?? I, said what any one of us probably would have said, BUT I'll keep it PG. Notice, the Oxygen sensor is the only "odd" one of the four. use your index finger and push it out from the rear side. The new one should slide right into place, just as easy as it came out. Once this is completed you can go ahead and reinstall the sensor board and the rear cover. Remember the pins I mentioned? Be sure to pay close attention when installing the rear cover, as they can break off and ruin your day/week/month. 0.5 lpm fixed flow regulator with C10 fitting for the BW Technologies Gas Alert MicroClip detector. No Oxygen or low O2 Reading? The ISC M40, uses high quality, machine thread screws for the cover. Once you have removed all of the screws, use caution while opening up the unit. There is a power wire connected to the vibrating alarm and and can easily be damaged if proper precautions aren't taken. Let's go ahead and remove the power wire. Do this by either using tweezers or a PC Jumper Removal Tool. You can use your fingers and kind of wiggle it out but that is not recommended, as it could jeopardize the integrity of the wires. Once you have the power wire off remove the gasket. Again, proper precaution should be taken at every step. There are 4 screws and Socket, (similar to a IDE HDD connector) holding this board is place, this step can easily go very bad very quickly. Well start by loosening the 2 bottom screws where the plastic piece is, I loosen them up about 3/4 of the way. Next we remove the 2 on the circuit board. Once you have loosened and removed the screws there is still the socket and pins attached to the board. From the top gently pull the boards apart DO NOT force this. This requires some finesse, examine the images below to get a better understanding of why you need to be so gentle. First we need to identify the oxygen sensor. We can clearly see which one that is. Right? Pull straight sometimes a little wiggle is required but generally they come right out of the socket. This is a good time to record the sensor serial number and date code, this should also be done with the new sensor that is going to be installed. Oxygen sensors last about 2 years, After that we highly recommend replace them. A persons life is not worth the price of a sensor! Line up the pins and it should almost drop into place. Apply a small amount of pressure and ensure that sensor is properly seated. Set the sensor board in the plastic hinge and slowly insert the pins into the socket. DO NOT force it! If you force this step it can permanently damage your sensor board. Go slow and pay close attention to how the board feels goin the socket, if its lined up correctly you will not have any issues. Pulling the sensor board out improperly or if you try to force it in, will most likely bend the pins and will make finishing this process even more difficult. The trick to installing the sensor board is to gently set in the plastic piece on the bottom of the unit, then hinge board so that pins gently slide into the socket. Once you have successfully re-attached the sensor board, tighten the 4 screws up and reinstall the gasket. Reinstall the vibrating alarm. close it up and reinstall the case screws. We typically wait 20-30 minutes to allow the oxygen sensor to acclimate to the ISC M40. Once the unit is stable and the oxygen reading isn't jumping around, we Zero the unit. Do this by pressing the up arrow key to the far right. Next a confirmation menu will show on the screen to perform a zero calibration press the enter key to confirm, the next step is calibration. You can find that guide here. 0.5 lpm fixed flow regulator with C10 fitting for the Industrial Scientific M40 detector. Replacement Oxygen (O2) sensor for the Industrial Scientific M40. Sensor is a compatible version and is produced by Alphasense, the same company that produces OEM sensors. Got a MSA Altair 4 that gives you an O2 Sensor Error? We'll start by removing the screws from the back cover of the MSA Altair 4. Be careful some of these units will have a very tight seal, and may require a little finesse and persuasion. This is pretty common on MSA Altair 4, the rubber gasket will stick to the sensors, or it will fall out. The best thing to do is remove it, and reinstall it on the front cover. Now you see all of the sensors, you can easily identify which one is the oxygen sensor. Let's remove the MSA Altair 4 Oxygen Sensor, you shouldn't have to pry, or pull too hard. Most of the time a little wiggle, while pulling does the trick. After the sensor has been removed, you might want to record the serial number and date code from the old sensor. This is a good way of maintaining records of sensors that have been replaced, you should also record the new oxygen sensor serial number and date code. They have a lifespan of about 2 years. Time to install the new oxygen sensor in the MSA Altair 4, DO NOT try to force the sensor in the socket, it should almost fall into place, after positioned correctly. Once it is in position, apply a very small amount of pressure to ensure proper seating of the new MSA Altair 4 oxygen sensor. Now it is time to put MSA Altair 4 back together, however new oxygen sensors will need to be acclimated to the unit. We typically wait 20-30 minutes, the unit can on or off, but if it is turned on it will be in alarm mode and the reading will be wrong. I normally install the sensor, turn the unit on and wait for the O2 reading to stabilize. Once, the MSA Altair 4 is stable and the O2 reading isn't jumping around, it's time to perform a Zero Calibration, to perform this operation press and hold the right button until you see the following screen thats reads "Zero Cal?". Confirm you want to perform a Zero Calibration by pressing the center button. The next screen is Span Calibration, it is a must that the MSA Altair 4 unit be recalibrated after the new oxygen sensor is installed. However we are skipping this step and we have a calibration guide here. After everything goes through the new oxygen sensor should be reading 20.8% on the MSA Altair 4. 0.25 lpm fixed flow regulator with C10 fitting for the MSA Altair 4 detector. Replacement Oxygen (O2) sensor for the MSA Altair 4. Sensor is a compatible version and is produced by Alphasense, the same company that produces OEM sensors. Replacement Dual Gas (H2S/CO) sensor for the MSA Altair 4. Sensor is a compatible version and is produced by Alphasense, the same company that produces OEM sensors. Replacement Combustible Gas (LEL) sensor for the MSA Altair 4. Sensor is a compatible version and is produced by Alphasense, the same company that produces OEM sensors. Replacement Oxygen (O2), Dual Gas (CO/H2S), & Combustible Gas (LEL) Sensors for the MSA Altair 4. Sensors are a compatible version and is produced by Alphasense, the same company that produces OEM sensors. Sensors were taken out of packaging for photo. Sensors sent out to you would still be fresh and sealed in the packaging. 1. Turn the MSA Altair 4 and MSA Altair 4X on in normal reading mode. Do this by pressing and holding the center button. 2. Once the MSA Altair 4 and MSA Altair 4X is in normal reading mode, you need to send it into calibration mode. Do this by pressing and holding right beeps at you and the screen asks you to zero the monitor (sensor refresh on the MSA Altair 4X). 3. Now that the screen is asking for confirmation, press the center button once to confirm. This will send the monitor into zeroing mode. Now is a good time to set the monitor down, and grab your calibration gas, regulator, and calibration adapter. 4. Open the valve on your regulator. This is a very important step so you do not ruin your calibration gas cylinder. Now screw it in to your calibration gas cylinder. Close the regulator once you hear gas spewing out of it. This is the signal to know your regulator is good to close. Continue screwing in the regulator until it stops. Do not overturn it. 5. Attach the tubing to the hose barb on your regulator. Make sure the tubing is also connected to your calibration adapter. 6. Wait for the screen to come up asking for you to apply calibration gas. Once this screen comes up, press the center button again to confirm. Screw the calibration adapter in to your gas detector. Once it is screwed on, turn on your gas. 7. Make sure your calibration gas values on the screen match what is on your calibration gas cylinder! 8. Once the calibration procedure is completed, turn your gas off and remove the calibration adapter from the MSA Altair 4 or MSA Altair 4X. The screen will go back to normal reading mode within a few seconds. 9. Congratulations! You have officially calibrated your MSA Altair 4 or MSA Altair 4X gas monitor. Make sure to record these readings in your calibration log! The Industrial Scientific MX6 calibration video is finally up and running! Let us know if you have any questions! When I first got into the industry, I was always struck by the "Guru" system. On every hazmat team that's been around the block, there's one guy who is the Guru. "What's the minimum distance for an Ammonia leak?" "Call the Guru." "Is fluorine absorbed through the skin?" "Call the Guru" "What's this tingly feeling?" "Go to the hospital." There's always one guy on a team who has lived through it, who has seen it all, or who has every answer. We're fast approaching the day when we'll no longer need him, and he can sit where he belongs: In the lunchroom, telling the new guys about the good old days when they didn't have air packs and just held their breath. Google Glass is the product that I believe will do this. If you haven't checked out Google Glass yet, it's time you do. We're talking a sleek interface that is barely noticeable, doesn't obstruct your view, responds to voice commands and visual stimulus, and can provide information within seconds. "Ok Glass (the command phrase to wake Google Glass up and tell it you're about to issue a command), what is the lower explosive limit of Methane?" "5.0%"
"Ok Glass, what does this symbol mean?" "Compressed Gas Not otherwise Specified"
"Ok Glass, send video back to the command truck." Imagine Incident Commanders who have a live video feed of everyone on their team, seeing what they see. Imagine responders who have a wealth of information at their fingertips, capable of taking photos and videos, getting instant information on chemical symbols and situations. It's a reality that Google Glass will soon be revealing, and I'm excited for it. What are some uses you see for Google Glass in the hazardous materials response fields? If you haven't already, check out http://www.google.com/glass/start/ or https://plus.google.com/+projectglass/posts. Honeywell Analytics: Who Cares About Warranty Replacements? There's a move by Honeywell (Biosystems, Honeywell Analytics, BW Technologies lines) to only allow warranty replacements for sensors to go through registered distributors. This is an awful move, for a number of reasons. I call it a move, btw, because I only recently found out they were following this policy for Biosystems as well. Relationships go bad. It's a fact of life. You know what doesn't help for your brand? Forcing customers to work with distributors who don't perform. My customers were all working with other distributors at some point in their life. They all bought monitors from a company, and because that company couldn't get the repairs done in a satisfactory manner, they bring those monitors to me. They've been hosed by the distributors, and they don't want to work with them. So what happens when that customer calls up and needs a replacement sensor for the one that failed before the warranty ended? They're told to speak with the distributor. The same distributor that screwed them in the first place. Not handling your own warranty replacement sends one loud and clear message to the customer: "We don't care about you or the quality of our products." Is that really the message to send? That you don't want to deal with quality problems? How does a company expect to keep a pulse on the customer if they won't work with them? BTW, heads up to the Biosystems team, turn off the message that says you've reached BW Technologies when people call the Biosystems help line. It confuses customers, especially when those same customers call up with a BW Technologies question and get told that the people there don't know anything about BW Technologies products. When those customers come to me and ask me what the heck is going on, and I have to shrug and roll my eyes, it doesn't do your image any favors. So this is probably it for me until this warranty replacement plan changes up. I don't like it when companies refuse to listen to the customer. I don't like customer service "by the numbers" where companies try and outsource their problems to other companies. I don't like it when companies don't address the customer directly and honestly. I especially don't like it when companies take something they do well, in this case swiftly fix problems and replace warranty sensors, and then ruin it by outsourcing it to distributors so they don't have to deal with it anymore. I won't be recommending Biosystems, BW Technologies, or Honeywell Analytics products to my customers until Honeywell changes their policy and decides to directly resolve sensor related issues with. I'll continue recommending MSA, RAE Systems, RKI Instruments, and even Industrial Scientific again as the situation calls for, but I'm done recommending a company that won't directly make warranty replacements for their customers. Why Does ISC Calibrate to Pentane? A quick non politically correct guide on why calibrating with Pentane is a stupid idea unless you're 100% going to be looking for Pentane. Good news! You can now order calibration gas directly through the Ideal Calibrations Gas Detector Information page. Find the monitor you're looking for, click on it, and next to the video on how to calibrate the monitor you'll see a button that orders calibration gas. All of our calibration gas is purchased from Ideal Gases, our sister company here in Livonia, MI. They'll ship it and we'll bill your credit card. Please let us know if you have any feedback on the system and if it works easily for you. Coming Soon - Buying Gas Detectors and parts in the same way. I'm thinking of putting a section below the calibration video that has frequently ordered part numbers like sensors, filters, etc for sale. One click to order just like the calibration gas. Quite frankly, I'm not much of an internet developer, so I don't see a whole online store in play, but if you want it, let me know. Enjoy the easy to order calibration gas! Ideal Calibrations has a new website with even more gas detector information than before! Check out this post for details on what's here now and what's coming soon. When you see a person down in a car, not breathing, your first instinct is to get him or her out of there. That instinct can prove deadly if followed, especially by someone who doesn't know how to protect himself. If this page helped you out, please click the Google button below to help us out! It's time we laid down the law on what, where, and how often to calibrate portable gas detectors. "We calibrate once a year whether we need it or not." "We were told to calibrate every 180 days." "Calibration? We send it out to have that done every quarter." "Bump test? Yeah, my buddy Jim holds the monitor up to his mouth and breathes on it; if it goes off, we know it works, or maybe that he had onions last night for dinner." I may have invented the last quote, but the first three are directly quoted guides on how often to calibrate your gas monitor from people in the field. There's a lot of confusion out there about bump testing and calibration, and it's time we laid down the law on what, where, and how often to calibrate portable gas detectors. Let's first dispel a few myths, then get right down to creating a simple and effective calibration program for your monitors. Myth 1: Gas detectors need to be calibrated only to make up for sensor drift. If I know it's going to drift only 1 ppm to 2 ppm, there's no need to bump test. Answer: There's no knowing what that gas detector has been subjected to since it was last calibrated unless you check it with gas yourself. Who knows where the last guy had it, what chemicals it was around, or what buttons he pressed. Unless you check it with gas, you could be putting yourself at risk. Myth 2: My instructional manual says the unit performs a self bump test, so I don't need to actually expose it to gas. Answer: These types of bump tests verify only that the sensor itself is responding to gas. This means if the sensor was splashed with any kind of compound that will cling to the membrane, the self bump won't be able to tell and will give you the OK, but the gas monitor still won't see gas. I've seen plenty of units with working sensors but with membranes coated in gunk, goo, or oils that block gas from getting to the sensors. Myth 3: I got this cylinder of calibration gas on eBay for $100 cheaper to save my budget. It's still good to use, right? Answer: Most likely not. All calibration gas manufacturers attach an expiration date to their cylinders. This means your cheap, half-used cylinder of 4 gas most likely has expired. Always check manufacturing dates and expiration dates when using a calibration gas cylinder. Reactive gases such as hydrogen sulfide, ammonia, and chlorine react with the cylinder walls over time. I've seen hydrogen sulfide drop from 20 ppm to 6 ppm over the course of a year. Always get your calibration gas from a reputable supplier. Myth 4: I don't use this monitor except once or twice a year, so I don't need to buy calibration gas or set up a bump test procedure. Answer: Wrong. To regulating bodies, if it's not documented, it didn't happen. If you don't have documentation of when and where the unit was calibrated, with what gas lot, and with what calibration gas, it's as if you'd never done anything. Always maintain a bump test schedule for your monitor. If you need to pick up your monitor and go immediately on emergency calls, which come in about once a month, this means bump testing daily in the mornings to ensure the unit is functioning properly for that day. If you know in advance which days you'll be using the monitor, you can wait to bump test/calibrate the day you'll be using it, but always maintain a written or computerized log of your tests. 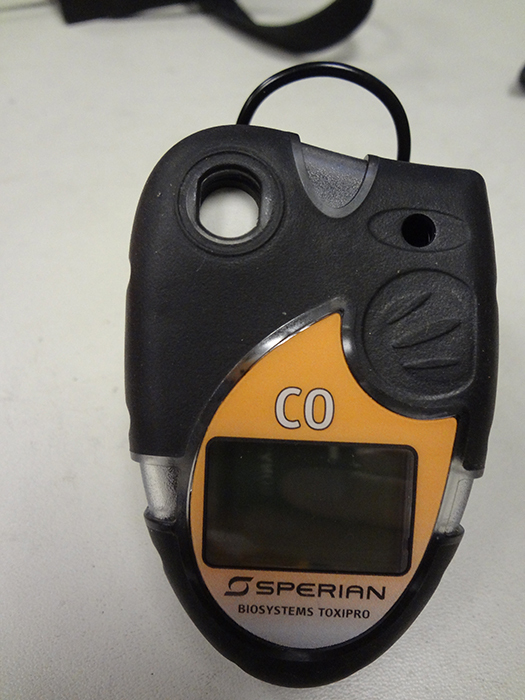 Myth 5: I have a two-year disposable single-gas detector. It's disposable, so that means maintenance free, right? Answer: It means everything else I've said in this article still applies. That two-year disposable unit still needs to be bumped daily and calibrated monthly, or you don't know how well it will respond to real gas. Nothing replaces the hard test of actually exposing the detector to calibration gas. With those out of the way, it clears the path to set up a simple, reliable program for gas monitor calibration and testing. I'm going to be using a free form we have up at http://www.idealcalibrations.com/documents/callog.xlsx, but you can use any similar form you have created yourself. Keep in mind that many of the steps I'm listing below can be removed if you have purchased a calibration docking station for your unit. Most of these will keep records automatically for you, but be sure to check with the manufacturer about how to retrieve these records in the case of an accident. You may not be familiar with a couple of terms used below. A "bump" test involves holding a gas detector up to a level of gas just long enough to bring it into alarm and ensure sensor functionality. 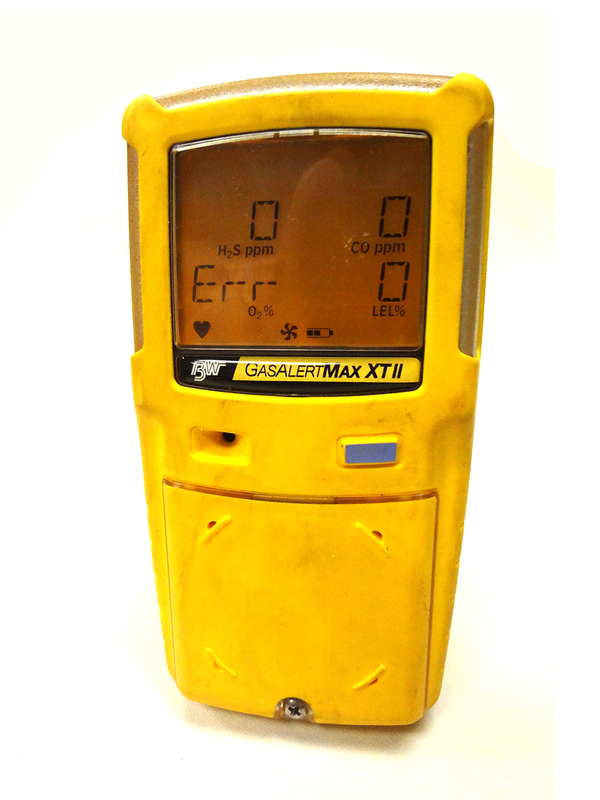 A "calibration" is done using an internal menu within the gas detector and requires an exact blend of gas to re-establish accuracy of the sensor. To put it simply, a bump test checks that it works at all, and a calibration takes it another step and ensures the unit works accurately. 1. Check your calibration gas. What you need to do first is to check the expiration date. If you're within a month or two, it is time to buy a new cylinder! Watch out for some of the reactive gases; nitrogen dioxide and chlorine are known to have shorter accuracy expiration dates. When you have your cylinder in your hand, be sure to write down the date it expires so you can order a new cylinder a few weeks before. Also check to make sure your calibration gas fits what the monitor needs. Call your gas detection manufacturer to ask exactly what concentrations are necessary for its monitor by default and check to make sure no one has changed the expected values in the monitor itself. 2. With your calibration gas verified, you should record the date and then zero and calibrate the unit. Make certain you are in a room with clean air or have a Zero Air cylinder hooked up to the unit. Zeroing before calibration in a room next to a furnace with 200 ppm carbon monoxide floating around will not give you an accurate reading. Your calibration will hold for 30 days, so make sure you fill in all of the applicable boxes on your spreadsheet, including the date. Every shift following this one where the monitor is used, it should be zeroed and then bumped. Notice here, I've said "shift" as opposed to "day." Many times, a monitor will change hands mid-day and run a second shift. The user who is getting the unit always should bump the detector and check the alarms to be certain the unit is still functional. You never know what the last guy did to the unit, so I always recommend bump testing the detector first thing. 3. If the unit fails a bump, try recalibrating it. Electrochemical sensors drift over time, and in most cases this is all that is necessary to re-establish accurate readings. If your unit fails calibration, contact your local gas detection repair center or call the manufacturer to order a new sensor. Many gas monitors will give you a "span" reading, which will tell you how much life is left in a sensor and allow you to preorder a sensor before it technically dies. The forth step may be the most important, but it's not really a step at all, it's a rule: Adhere to this program like glue. Once you've started it, keep the habit and make sure all others follow the rules and record their data. A great gas monitor does you absolutely no good if it's inaccurate or doesn't respond at all; unless you're there every second of every day with every gas monitor, you never know what trials and tribulations they're being put through. Calibration and bump testing procedures are the first line of defense in gas safety. For some extra reading on good calibration procedures, see this guide on OSHA’s Web site: http://www.osha.gov/dts/shib/shib050404.html. You'll hear complaints about the budget, about the time wasted, and about the paperwork, but in the end, if you've saved even one person's life, it will be worth it. My father nearly went down to a carbon monoxide leak back in the days before safe calibration procedures were in place. The monitor did not even register. Thankfully, a friend pulled him out to save his life. With the technology we have today, there is really no excuse to lose even one worker, friend, or father to a gas leak. Stay safe, stay accurate, stay alive. Author: James Moore is President of Ideal Calibrations, LLC, a Southgate, Mich.-based company dedicated to the repair, calibration, and testing of gas detection technology. He is a contributor to The Incident Commander Blog, http://incidentcommander.blogspot.com/. For more information on this and any other topic regarding gas detection, please contact him at james@idealcalibrations.com or visit http://www.idealcalibrations.com.